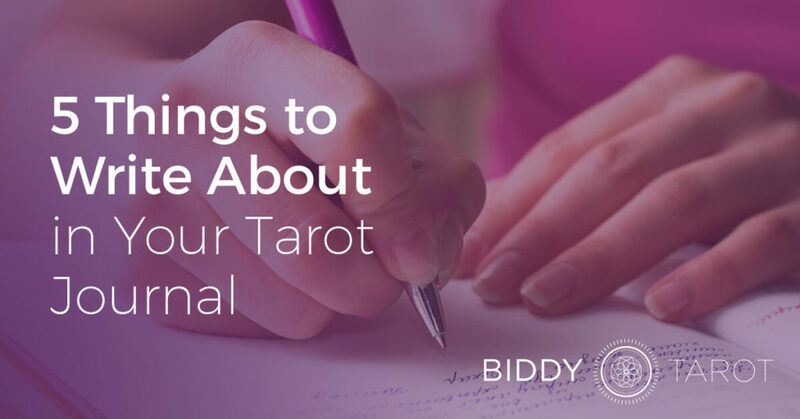 In this post, I’ll show you 5 things you can write about in your Tarot journal to deepen your connection to your Tarot cards. It’s one thing to interpret the Tarot cards. It’s another to interpret the Tarot cards intuitively. And the best way to interpret the Tarot cards intuitively is to personalise their meanings. Don’t simply rely on memorising the Tarot card meanings from your favourite books. Figure out what the Tarot cards mean to YOU. First, choose a card you want to work with. You might start from the very beginning with the Fool. Or you might consciously choose a card that you want to explore further. Or, you might randomly select a card. Second, gaze at the card and write whatever comes to you. You might write about the picture in the card. You might write about the energy of the card. Or you might start to tell a story about the card. 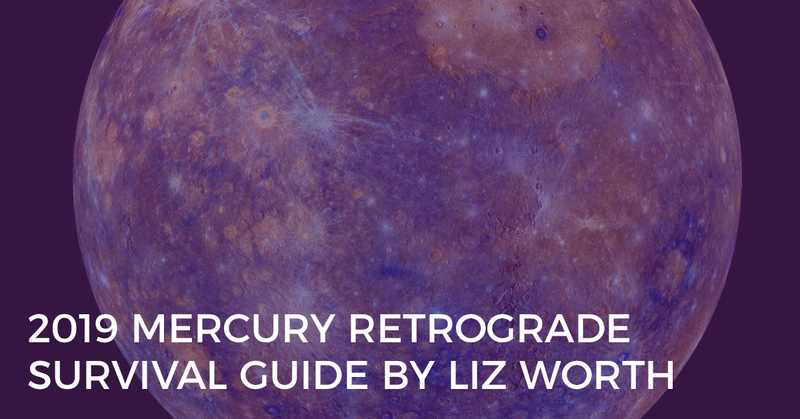 Let your intuition guide you – without judgement or editing. Finally, recall a time in your life when you experienced the energy of this Tarot card and write your story. For example, if you are working with the Fool, you might write about your first day at your very first job, and how it felt like a huge step into the unknown. Connect your experience to what you know about the Tarot card, and watch it come to life. 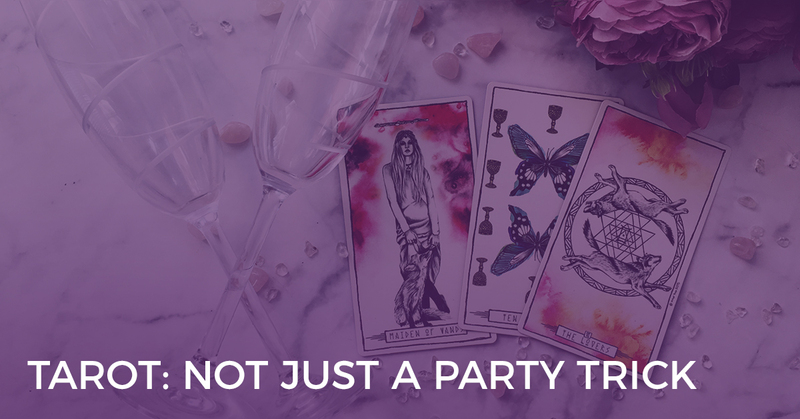 Over time, you will have created your very own library of Tarot card meanings that is personal to you – incredibly powerful when it comes to intuitive Tarot readings. Every time you go to read Tarot for yourself or others, make sure you have your Tarot journal open and you’re ready to take notes. Why? When we’re reading the Tarot cards, we often filter out parts of the reading that are not relevant to us at the time, instead only remembering what rang true. But as a result, we can often miss important messages that may not have made sense right away, but could have been helpful later down the track. Record your reading – what question you asked, what spread you used, what cards you drew, what messages you received in the reading and what actions you’ll take as a result of the reading. Be as descriptive as possible and remember to write down all messages – even those that may not make sense at the time. Then, after a few weeks or a few months, come back to your Tarot journal and review your notes about the reading. What do you know now that you didn’t know before? What new information can you add to the reading? Would you read the cards differently, now that you know how they have played out in ‘real’ life? Go through the reading and add your new insights. 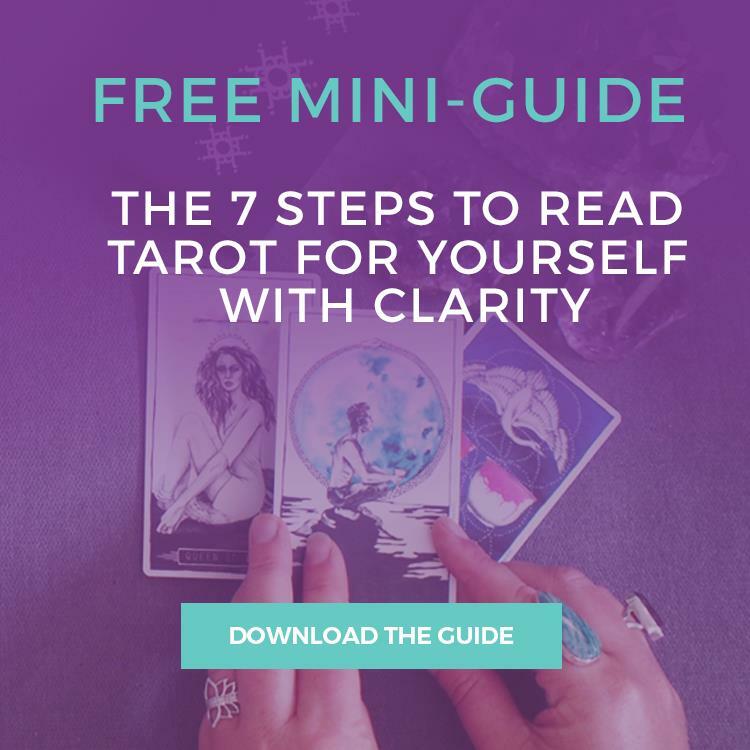 This important feedback loop will help to validate your intuition and develop your Tarot reading skills. And, if you’re journaling about the individual Tarot card meanings, add your new interpretations and experiences to your Tarot journal. For example, you might have had a completely new experience of the Fool as a result of your Tarot reading – add it to your personalised Tarot card meanings. I LOVE creating new Tarot spreads! It’s one of the most effective ways of answering a specific question with the Tarot cards. If you love getting creative, too, then use your Tarot journal to keep track of all the beautiful Tarot spreads you create. Every time you go to create a new Tarot spread, note it down. Then, when you go to create your next Tarot spread, you’ve already got a ‘bank’ of questions you can use. Simple as that. It’s time to get your coloured pencils out and embrace your inner artist! As you do this, take note of all the different symbols in the card. You might be surprised at how many things you haven’t noticed before (I nearly always find something new… even after 20 years of reading Tarot!). Once you have drawn the outline of your Tarot card in your journal, then pull out your pencils and start colouring. You might want to stick to the colours you see in your Tarot deck. Or, you might want to get creative and intuitively choose your own colour scheme for the card. Really engage in the process and see how you begin to connect deeply with each card as you draw and colour it in. Or, create a collage of images in your Tarot journal that all relate to your understanding of the Tarot card. There really is no limit – just get creative! If the idea of drawing and painting Tarot cards has you hiding in a corner, you might prefer to use your creative writing skills to connect with your Tarot cards instead. Pick a Tarot card, then write until your heart’s content in your Tarot journal. You might want to ‘free write’ for a certain period of time. Just set the timer and away you go. Commit to writing non-stop, even if it’s just to say, “I have no idea what to write!” Soon, your creative flow will kick in and you may be surprised at your insights. You might want to write a creative story about the Tarot card. Who is the character in the card? Where did they come from? What are their dreams and aspirations? What did they do next? Who do they meet along their journey? What lessons did they learn? Or, you might choose 5 or 10 or 20 Tarot cards, and pretend as if each Tarot card was one page in a story book. Create an entire story, from the first card all the way to the last card. Again, have fun with it! Get your creative juices flowing and soon your intuition will also be along for the ride! Are you inspired to start writing your Tarot journal? Which one of the five ideas will you start with? Share your response below in the Comments. 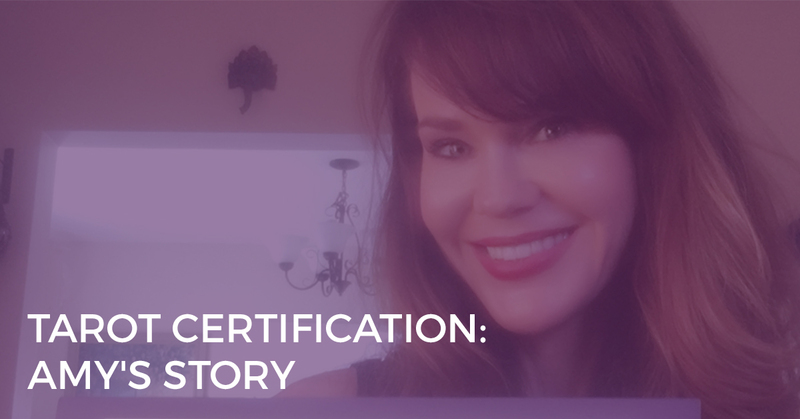 And if you want to learn how to create a personal and intuitive connect with the Tarot cards, then check out my signature Tarot training program, Master the Tarot Card Meanings. I’ll show you how to read Tarot from the heart, not the book, making you a more confident and intuitive Tarot reader.